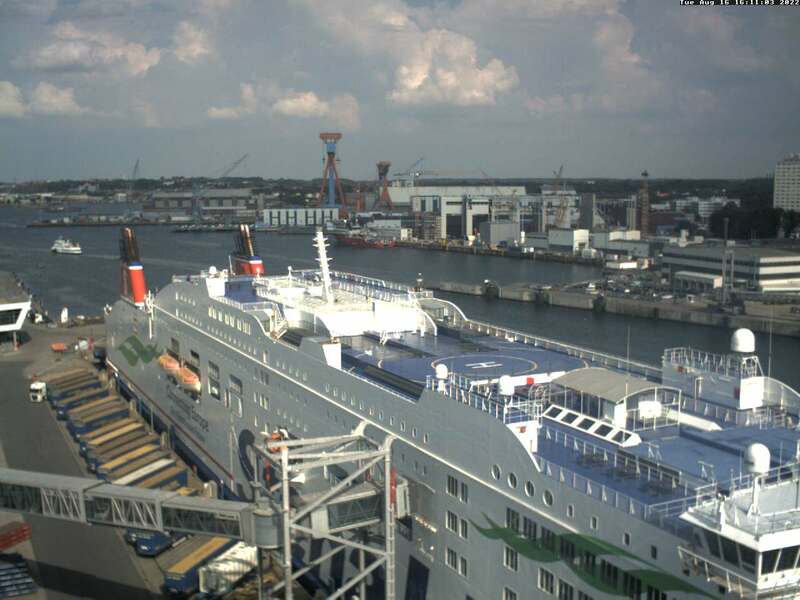 A live cam on the roof of Schwedenkai delivers pin sharp panorama pictures 24/7. Experience Kiel’s City Fjord by zooming in on the Old Boat’s Port, Small Kiel, Holsten Bridge, City Hall Tower and St. Nikolai Church as well as Sartori Quay and HDW Wharf in HD quality. Enjoy the north-eastern view from Hafenhaus over Schwedenkai and the berths of the Stena Line and Color Line ferries. A live cam on the roof of Schwedenkai delivers pin sharp panorama pictures 24/7. Experience Kiel’s City Fjord by zooming in on the Old Boat’s Port, Small Kiel, Holsten Bridge, City Hall Tower and St. Nikolai Church as well as Sartori Quay and HDW Wharf in HD quality.